This past week I had the privilege of exploring the beautiful town, Lake City, in Colorado for a second time. I can’t explain how fortunate I am to be able to visit this town a often as I want. My husband’s family has had a cabin there for generations of family members to enjoy. This time was different in that since I had traveled there before, I had in mind some of the things I did not get to do the last time. Turns out that my sister-in-law and her husband had the same thought. We decided to conquer one of the mountains near by (Uncompahgre Peak). I went into the journey thinking “oh, i’m pretty fit. I’ve been doing bleachers. I’ve got this.” Apparently this mountain is not just any mountain. 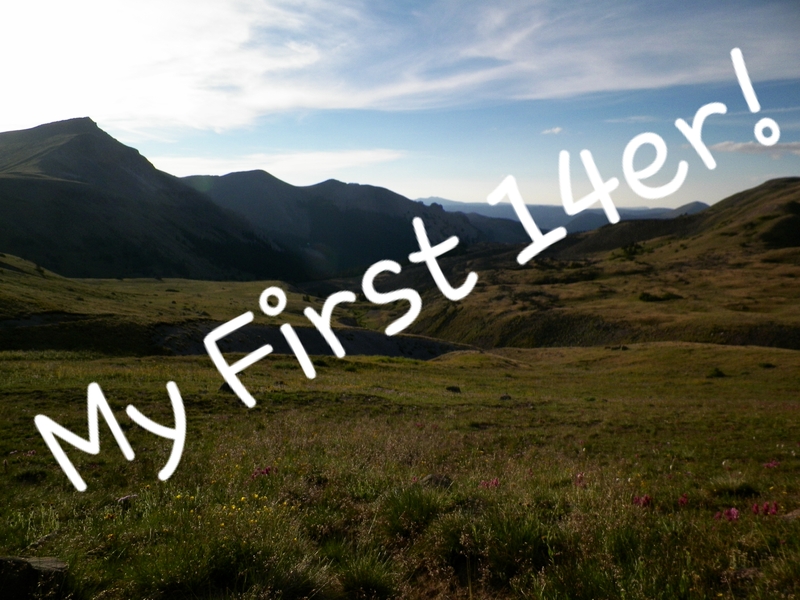 It is a 14er. Meaning that it is over 14,000 ft above sea level. The tallest hike I had ever accomplished was 2,000 feet. Needless to say I was pretty concerned. Many people experience altitude sickness, fatigue, and dehydration when hiking a mountain this tall for the first time. My husband and I proceeded to stock up on bottles of oxygen which I did not know existed. We also packed water and snacks and any other things we could possibly need in case we got stranded on this dangerous adventure. So, we started up the mountain. We took it slow which was a good idea because we wanted to make sure we were aware of any signs of altitude sickness. As we progressed we started to realize how achievable this actually was until we looked up and saw what is called a “scramble” according to seasoned mountaineers. At that point we were well over 14,000 ft. We are now faced with a choice stay at the top of the “safe zone” or truck on up the sketchy wobbly rocks. Just for the record all four of us are pretty determined people. So, we decided to continue because we weren’t going to let a silly little scramble get in the way of us reaching the top. Little did we know that after we reached the top of that scramble there was still another half a mile (what it felt like but may not be accurate) of trail up to the actual peak. We all almost stopped at the top of the scramble. We started to sit and everything. By that point we were far enough, right? No. I see my sister in law’s husband start to walk up. He was not giving up. I am usually the last one standing due to determination but luckily someone else stepped up and drug us to the top of that peak. The satisfaction of actually making it to the top was probably all I needed but the icing on top of that mountain was the view. I would never try to describe it, so below is a taste. To anyone who does not usually climb mountains, I highly suggest that you do your research and try out a hike at least once. Also check the difficulty which should be labeled by class. Uncompahgre is a hard class 2/ easy class 3. P.S. The bleachers did not stop the soreness but it was still worth it.